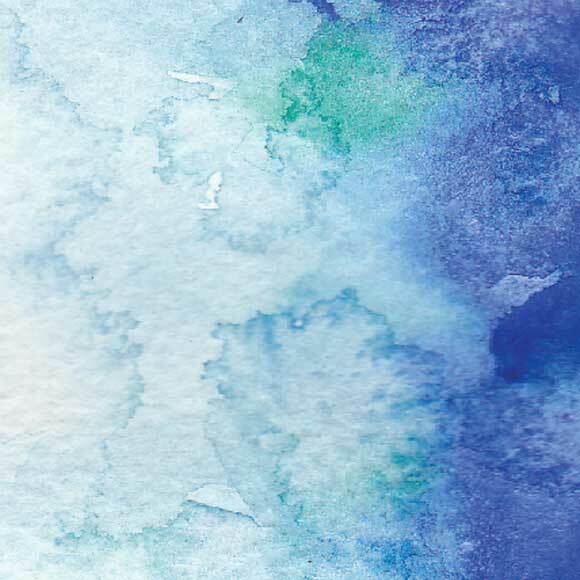 Watercolor’s natural essence sings in the Water Ripples Invitation as the blue paint stretches and seeps through the painting. 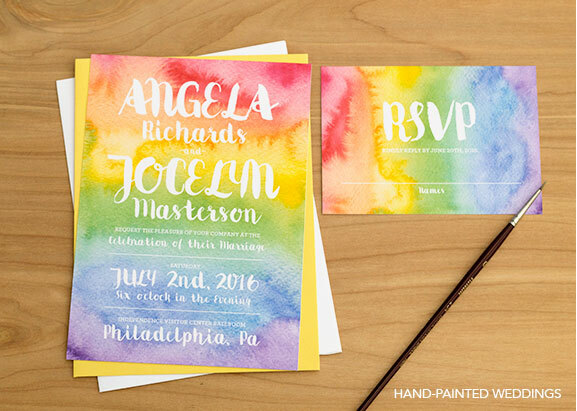 This invitation is inspired by light shining and sparkling off the sea. The idea originated from my love of the glistening water in the Venice Gondola painting I made a few months back…but much more zoomed in. 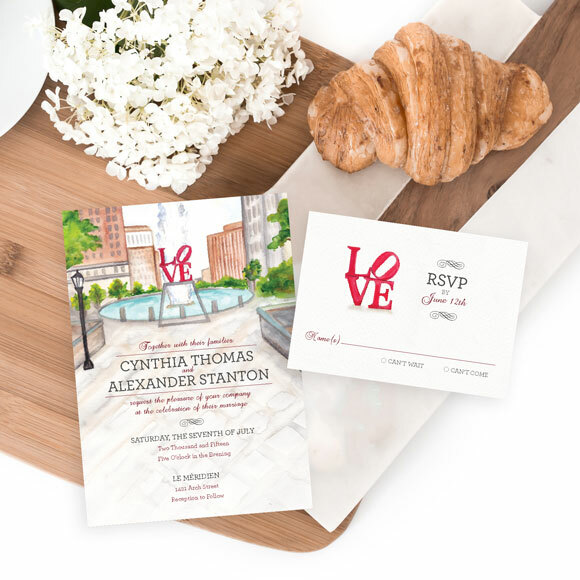 The Water Ripples Invitation is perfect for a wedding that is happening by the ocean or by the pool. 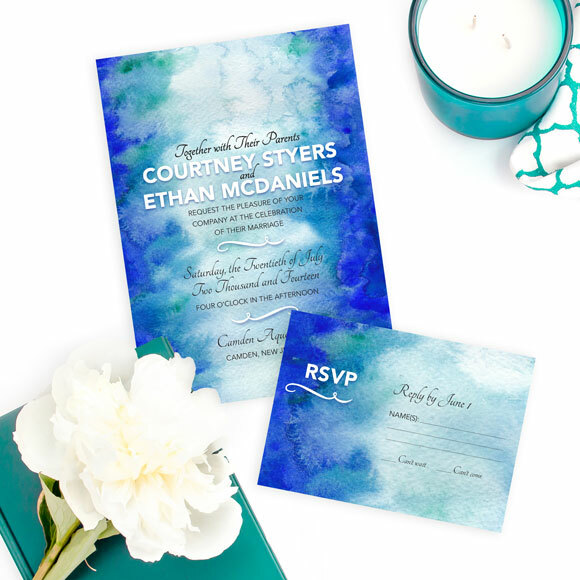 It would be lovely for a wedding on a boat or for a couple who is looking for a striking blue watercolor theme for their wedding. 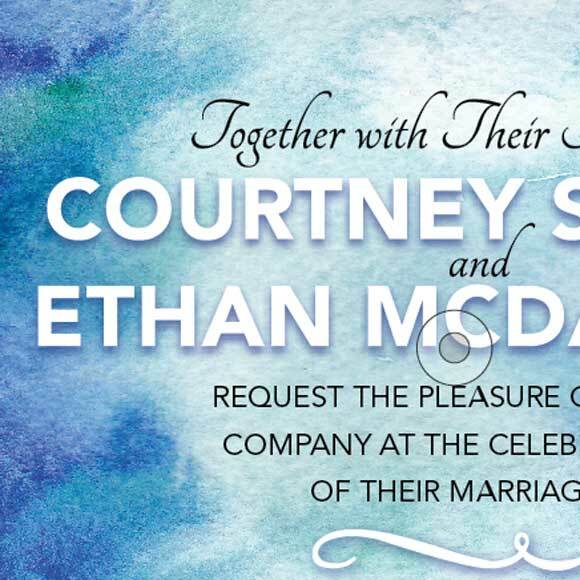 The blues in this invitation are quite dramatic, which is one of the unique features of this invitation. 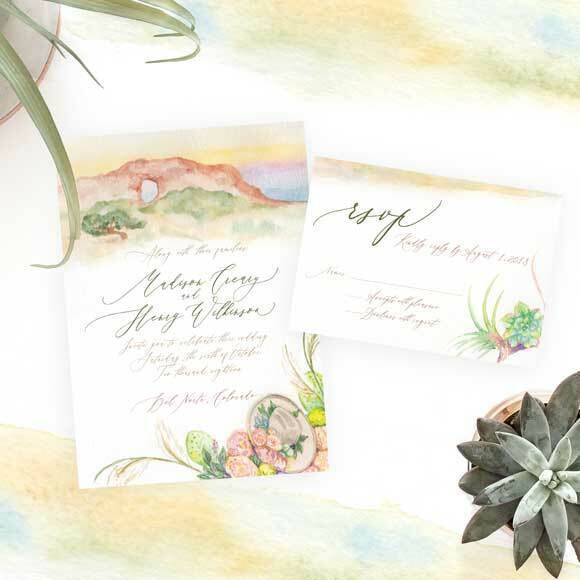 Many watercolors are soft and subtle, but this invitation amplifies watercolor’s robust pigments and the wonderful liquid nature of this medium.